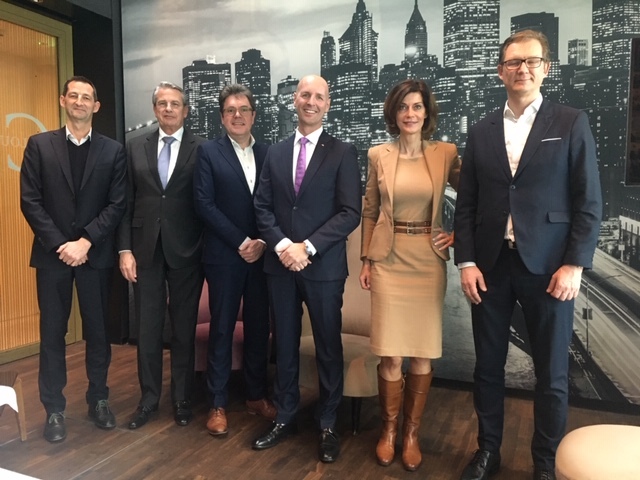 On 29 November, a CEPI delegation consisting of Luc Machon, Gijs de Jager, Elisabeth Rohr and Guy Valkenborg visited our Swiss member SVIT in Zurich. SVIT was represented by their Vice President Michel Molinari, CEO Marcel Hug and Vice CEO Ivo Cathomen. Discussions focused on CEPI activities in 2018 and the activitiy programme for 2019, priorities for SVIT also from a European perspective and possible joint projects and initiatives. The CEPI delegation also received a very targeted and detailed presentation on the Swiss real estate market by the Swiss CEO of JLL Switzerland, Mr Jan Eckert. CEPI thanks its Swiss member for a much appreciated and informative meeting and this all in very enjoyable surroundings.